The vault is safe from nuclear and electronic attack, the company says. camera (Hakon Mosvold/AFP/Getty Images/file ) Journalists and cameramen walk under a gust of cold wind near the entrance of the Svalbard Global Seed Vault that was officially opened near Longyearbyen, Norway in this Feb. 26, 2008 file photo. Inside a former coal mine, on a frozen island a few hundred miles from the North Pole, an effort is underway to preserve humanity’s most valuable data. A data preservation firm called Piql has opened what it is billing as "the safest place on the planet for a 'digital embassy'" to hold critical information for humanity, in case of global disaster. 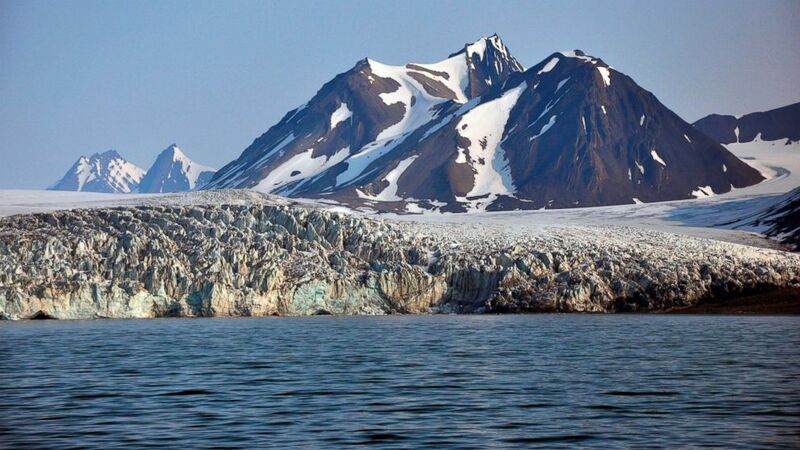 (Hermes Images/AGF/UIG via Getty Images) Billefjorden Glacier on the Svalbard Islands, Norway. 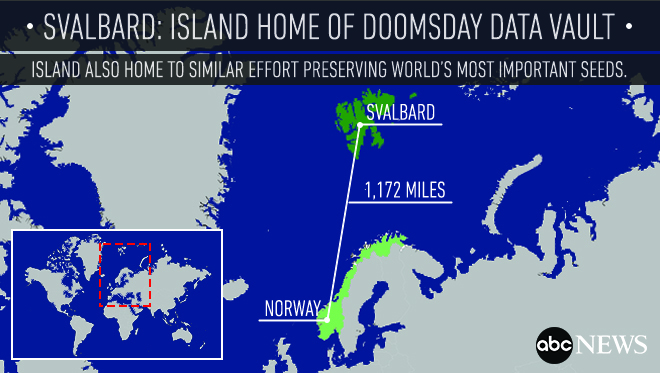 The apocalypse time capsule, known officially as the Arctic World Archive, is housed in a mine on the island of Svalbard –- a small archipelago well north of its owner, Norway. Piql says that it has already received data from Brazil, Mexico and Norway, which it will be able to preserve for hundreds of years and protect from nuclear and electronic attack. The vault was officially opened on March 27th with the directors of the national archives of Mexico and Brazil in attendance. "The two gentlemen had brought some of their most valued documents and pieces of information from their country’s history to be deposited," Rune Bjerkestrand, Piql’s Managing Director, told ABC News in an email. 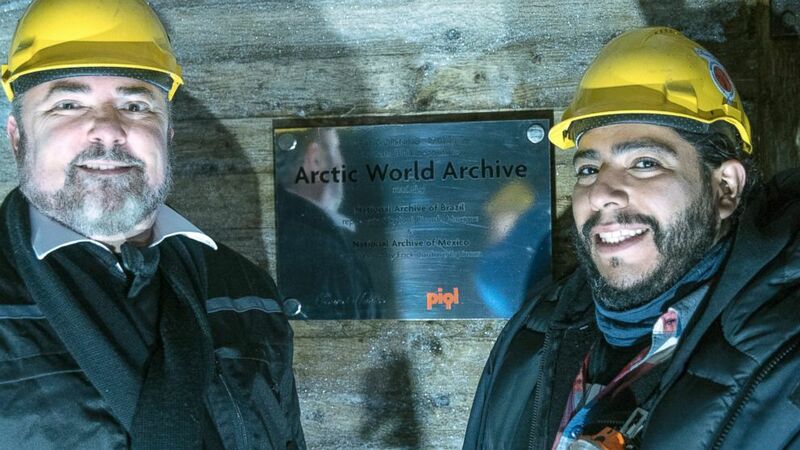 (Rune Bjerkestrand) Ricardo Marques, Director, Brazil National Archives, and Erick Cardoso, Director of Information Technology, Mexican National Archives, in front of the inauguration plaquette of the Arctic World Archive at the entrance of the vault. Among other documents, the Brazilians deposited an archive copy of a law that abolished slavery in the country, as well as copies of historical constitutions. Historical photos of their capital, Brasilia, were also included. The Mexicans deposited their constitution, declaration of independence and other documents they said have historical and cultural significance. Bjerkstrand said that the archive would protect these historical resources and other forms of "the globe’s most valuable data from future catastrophes, war and cyberattack as well as future technological obsolescence." 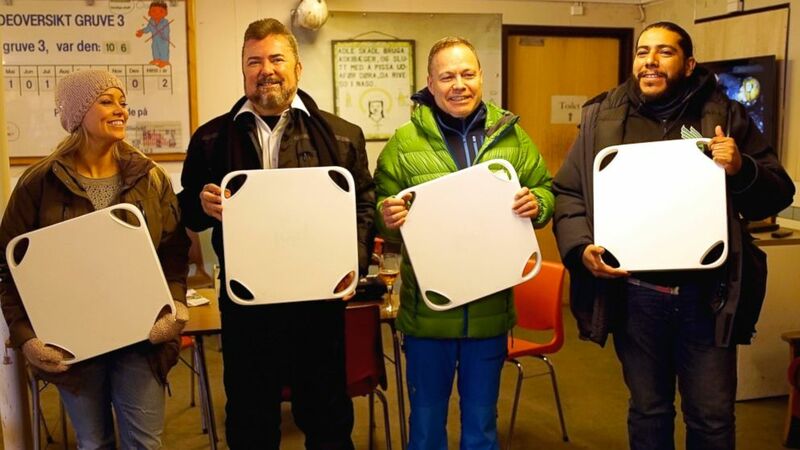 (Rune Bjerkestrand) Hanne Sorvag, Norwegian singer/songwriter, left, Ricardo Marques, Director, Brazil National Archives, Rune Bjerkestrand, Managing Director Piql AS, Erick Cardoso, Director of Information Technology, Mexican National Archives, right, hold containers for data to be stored in the vault. Data, Piql says, is stored on a proprietary film it has developed, making it impervious to attack or alteration. "We write data as basically big QR codes on films," company founder Rune Bjerkestrand told the science news website Live Science. 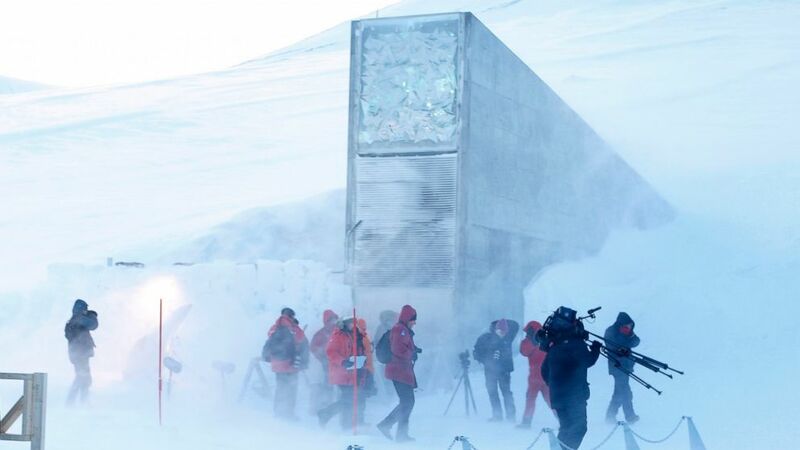 Svalbard is also home to the Global Seed Vault, a similar effort aimed at preserving the world’s crop diversity by storing seeds in the event of a planet-wide catastrophe.